The brand of Nature Republic from South Korea is familiar to Malaysians even to me too. But it is my first try the Nature Republic White Vita Floral Mask Sheet. I did not really remember clearly when I get this product. I'm sure that I got this product for free while I bought other products of the Nature Republic in Seoul, Korea. 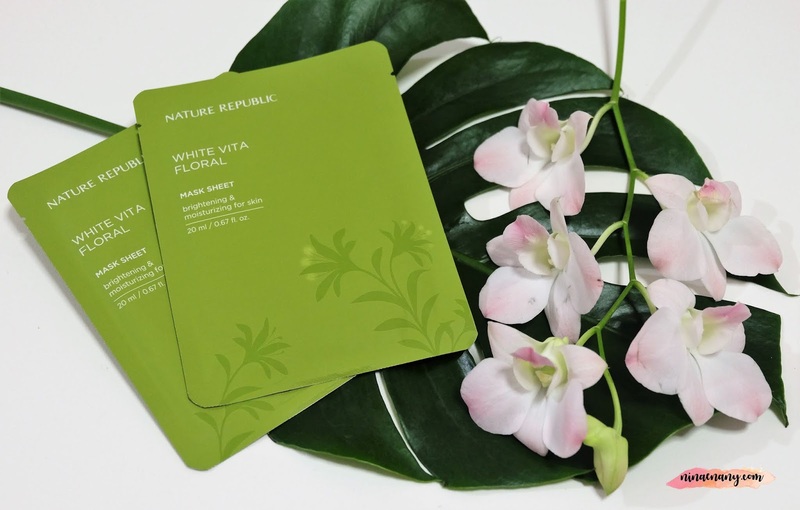 The Nature Republic White Vita Floral Mask Sheet is the mask focuses on brightening and moisturizing the skin. This will be good for those with dry or combination skin types. The packing is simple with flora and green color. Normally, I use the mask 2 – 3 times a week. I apply this product after cleanser and toner. After that, I leave on for 10 – 20 minutes. After removal, massage excess essence into skin. This mask type is creamy and heavy. I really do not like this type of mask. It is making my skin oilier. The scent is also quite strong to me. I am not sure what's kind of scent it is. Maybe for those have dry and combination to dry skin, it is good but for those have combination to oily skin like me, I not recommend to using it. It will make my skin break-out. I would like to give 2.5 stars out of 5 stars to this product and I would not purchase this product again.